On Easter Sunday, after returning from church, I asked God to give me a sign that day. Please God, tell me that you are there, so I know that I will see my Jamie Lynn again. Please tell me that my faith in You makes sense. 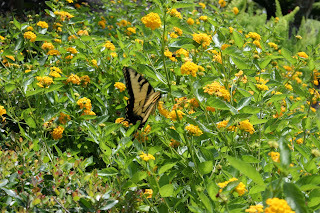 He answered with a butterfly quietly landing in a field of wildflowers next to our home. Since Easter, I have had many visits from butterflies. Daily and more than once a day. Butterflies single, gliding on the wind. Pairs fluttering together. One lands on a pot nearby. Another steps into some avacado dip. "Why, yes, help yourself Mr. Butterfly." They come in all colors...orange, yellow-orange, dark yellow, light yellow, yellow with spots, orange with spots. Black with orange stripes. Black with yellow stripes. Butterflies in the early morning as I sip my coffee. I close my eyes to bask in the afternoon sun. When I open them, two zig-zag in the near distance. A butterfly lands on my shoulder as I contemplate a sunset. 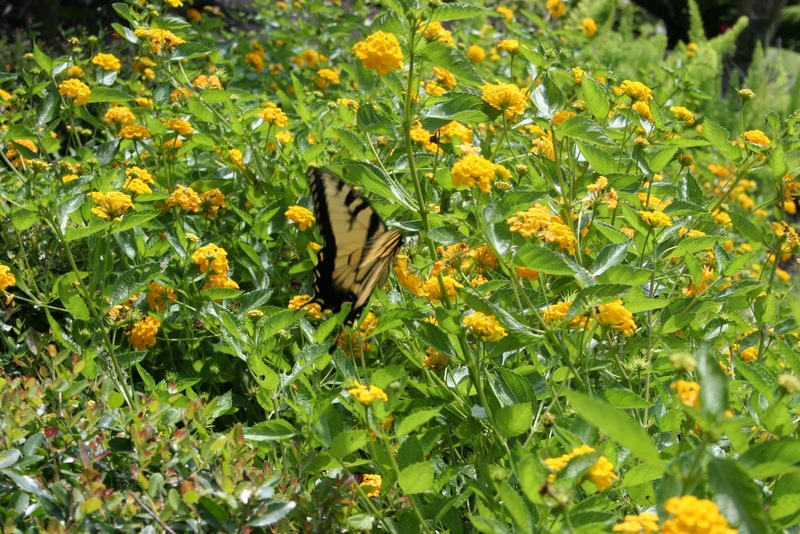 Butterflies flitter-flutter around the boys as they frolic in the yard. They are oblivious to the perfection of the scene. Butterflies when I think of her. When I am not thinking of her...to remind me. Daddy taps my shoulder. He points. I smile. Of course. Another butterfly. We smile at each other. It is our little secret, Butterfly.